Tell us about your post-graduation plans! Whether you are planning to accept a job offer, attend graduate school, start a business, volunteer, or are still defining your next steps – we are interested in learning more about your post-graduation plans. 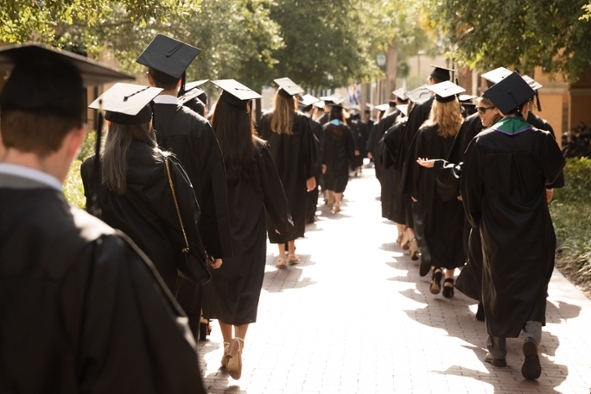 All Rollins CLA and Holt seniors who are completing degree requirements for Commencement 2019 must complete the Post-Graduation Survey before picking up commencements tickets. The Post-Graduation Survey will be available on Handshake by Friday, April 19, 2019 at 12:00 p.m. Seniors must complete the survey on Handshake by 5 p.m. on Friday, May 10, 2019, which is also the deadline to pick up commencement tickets at the Center for Career and Life Planning. The Post-Graduation Survey should take about 5-7 minutes; simply confirm or update your contact information and proceed with the survey. Your confidential responses will provide the college with critical information necessary for career and academic advising, student recruitment, and institutional reporting. You may contact the Center for Career & Life Planning for questions about the Graduation Survey at Rollins.